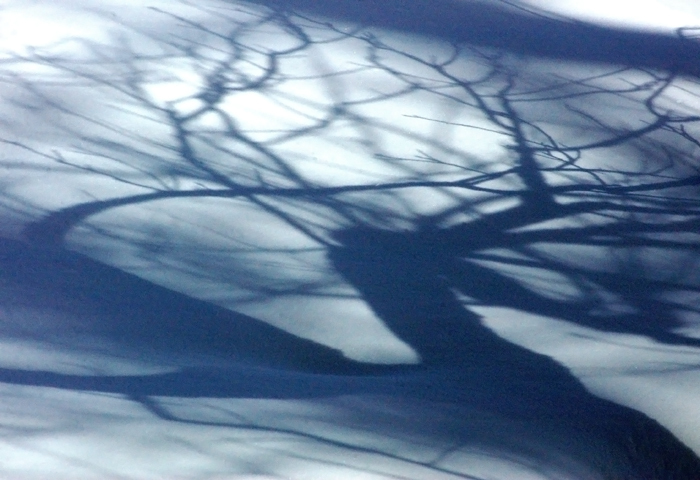 Bare trees cast an eery abstract pattern in the snow. After a few days of rain, we got more snow, so I took advantage of getting some of the last snow images of the season... I hope. Very beautiful. I am always taken by shadows…especially abstract ones that really take my imagination for an outing. thank you – I was lucky enough to have the sun high in the sky yesterday and it created a lot of neat shadows. Very nice, this has a nice flow and pattern to it! thanks Mike! I liked the wavy lines and the crossing shadows… now if it would only melt.